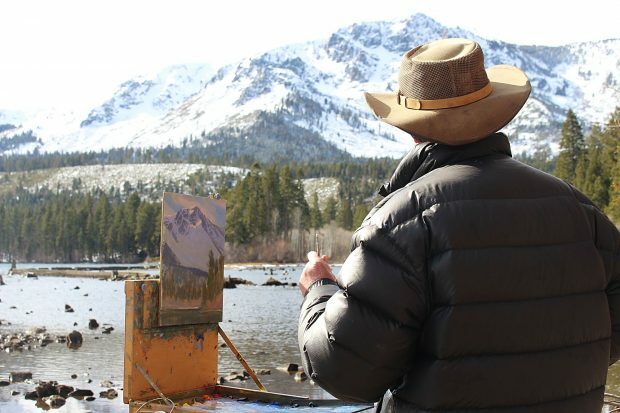 Artist Charles Muench paints Mount Tallac from a beach at Fallen Leaf Lake on Monday, Jan. 22. Clouds enshroud the peak of Mount Tallac as Charles Muench sets up his easel at the edge of Fallen Leaf Lake. After trekking through a light dusting of snow, the painter settles on a view of the iconic mountaintop from a beach with small waves lapping against the rocks. 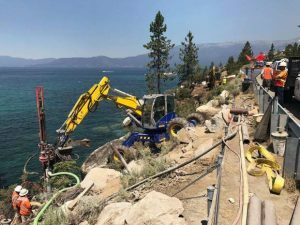 A Ruhenstroth resident, Muench is a self-described “American traditionalist” who finds inspiration painting outdoors in the Sierra Nevada and surrounding high plains desert. He moved to the region in 2001 from San Jose to be closer to the panoramas that inspired his work. “I had an epiphany the year before that I needed to be in the Sierra as my painting developed. My passion was for the landscape, not the strip malls and Walmarts,” he recalls. Muench has been painting since he was 15 years old. At San Jose State University, he studied under Maynard D. Stewart — named for the famed American West painter and son of renowned Utah landscape painter LeConte Stewart. Over the last two decades, Muench has taken trips into the Sierra to paint, carrying his supplies by hand or with pack mules for longer treks. Sometimes he completes an entire painting, other times a color study that he will flesh out in the studio. “I’m not so much looking as I’m listening. I let nature tell me,” he says, recounting the time a gnarly tree stump in Hope Valley beat out the sweeping meadow landscape he originally set out to paint. Currently he completes around 40 paintings a year, which sell, depending on their size, anywhere from $1,000 to upward of $25,000. 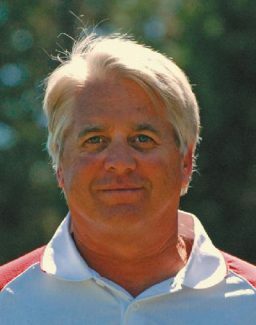 Meunch’s work has earned him dozens of awards over the years. Most recently his painting “Sierra Cathedral” was included in the California Art Club’s 106th Gold Medal Exhibition at the Autry Museum of the American West in Lost Angeles. In addition to mountainous landscapes and alpine lakes, Muench has drawn inspiration from the high desert of Northern Nevada in a series he calls “My Lonely Nevada.” He’s painted wild horses moving across sage-dotted plains, an old car on the side of The Loneliest Road in America (U.S. 50), winding dirt roads and Nevada ghost towns. With a brush in hand and the clouds finally cleared from the peaks around Fallen Leaf Lake, Muench laments the fast-paced world we live in now. Nevertheless, the romance of capturing the American West is still very much alive for Muench.